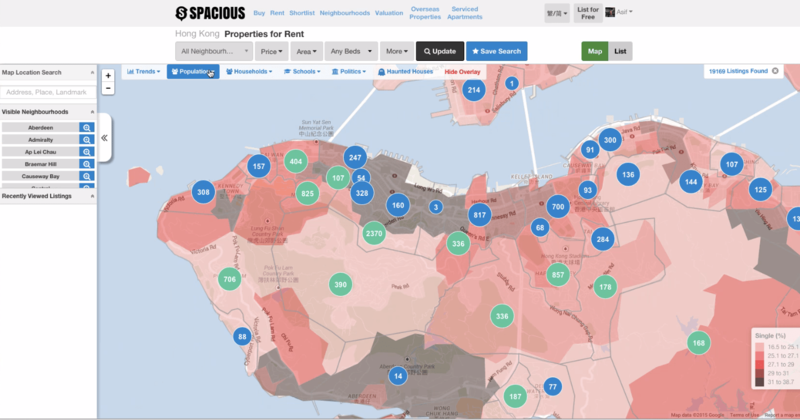 This map from Spacious.hk shows a ‘single view’ for all the property for sale or rent in Hong Kong. Rather than viewing and comparing a plethora of property listings, users can take a broader approach to find the best place to settle down. Playing with the layers on a city, users can easily find out how prices have changed in the last 30 days, locate all the schools and their catchment areas, where English and Chinese speakers reside, and the household income levels across the city. This more granular search method derives from the Spacious approach to real estate. The team wrote down all the questions people think of when they buy or rent real estate, and listed the top 10. “Most questions related to geography: Is it close to local schools? What are the transportation options? How near is it to commercial areas and parks? So we thought of layering the search creiteria based on geography. There was no better way to provide geography than using a map, so we chose that method,” Spacious CEO Asif Ghafoor said. When Ghafoor came to Hong Kong in 2007, it struck him that existing online property listing websites were very poor. “Compared with Zillow.com in the U.S., Zoopla.co.uk in the UK, and Realestate.com.au in Australia, there was a huge gap between those and what was available in Hong Kong. That gap didn’t make sense to me, especially given how important property is to people in Asia, so I thought it was time to change,” Ghafoor added. 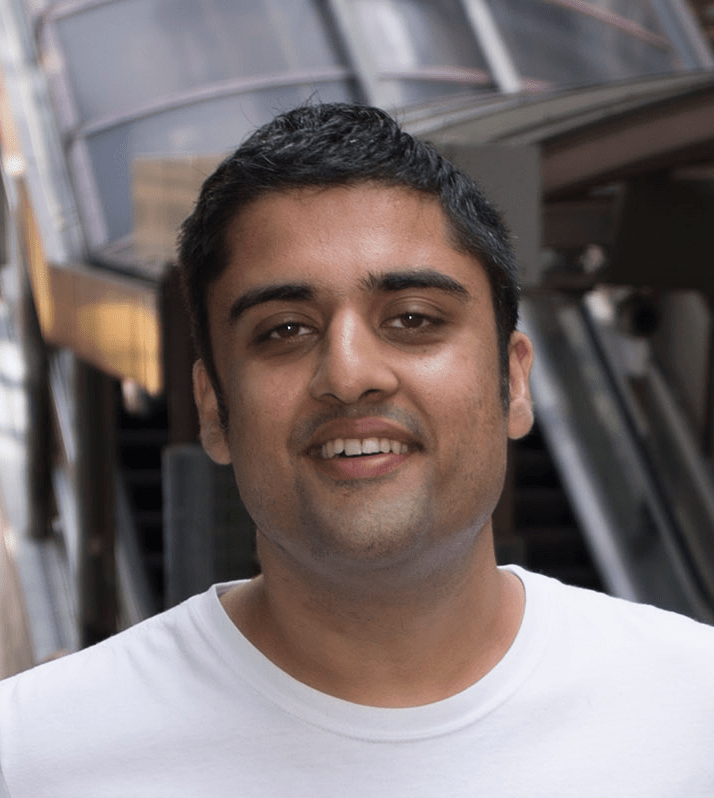 Having previously worked in Goldman Sachs Equities Technology for eight years, Ghafoor developed an algorithm that scores how agents respond to customers to sort out good and bad listings. Through this content optimization, the site encourages and rewards agents who have good inventories and who post listings, while its big data platform generates analytics on price difference across the region. Wiring up the source data, buttons at the top of the map provide data overlays to help people decide where to live. Since launching in 2013, the company has seen 30% monthly visitor growth in Hong Kong. Last year, they closed a seed funding round of US$500,000 from Asian investors. “By building the best UX, providing market transparency, real time pricing and having the best quality listings, we’ve been able to successfully roll out our platform in Hong Kong with strong traction. We are in the process of raising another round of funding in the next month, to expand across Asia,” Ghafoor said. With potential tenants coming to the site , the company has created further business opportunities from them. Spacious is also a marketplace for businesses, since tenants and landlords need related property services. Through partnerships with Uber, Gogovan and Boxful, the company provides special offers on car hire, van hire, storage and office space, from which its receives referral fees. Their business model is still however mainly based on agent subscriptions to post listings, and taking commission on transactions. The advantage of Spacious is that its capacity to embrace agent listings presents a universal model. Because of the ease of uploading their listings, overseas agents are flocking to the platform. Since they want to market their property into and across Asia, the company already has listings on overseas markets like London and Miami. Launching its Shanghai property website a month ago, the company has seen great early traction, with 4000 high quality listings by local agents. The service has also been launched in Taipei and Singapore, and Ghafoor shared interesting differences on property listings across those regions. “It’s very market-specific. In the case of Hong Kong, in some parts property prices were falling but then soared after Occupy Central. In Singapore, there’s HDB government housing that we have to consider. In Taiwan, the way area represented is different, since they mark it by how many people can live there rather than by square feet. Our future expansion cities include Seoul, where rent agreements are one year contracts with upfront payment for the whole period in some cases. The common problem in these markets is that existing services have poor UX, lack of poor quality listings, and without multilanguage support,” Ghafoor pointed out. With its mission to make of finding property as easy as possible across Asia, the company’s next phase of expansion in China will include Beijing and Shenzhen.